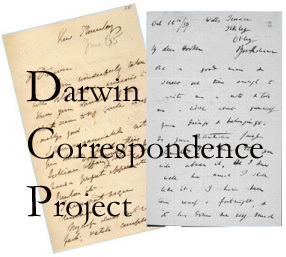 The Darwin Correspondence Project has put up a timeline tool for exploring Darwin’s letters. This is something that I have wanted for a while! In February I came across an article about a letter written to Darwin in 1878 that discussed the color variation in a species of moth in response to industrial pollution. Turns out this was from the author of a new book all about how the evolution of animal species can be observed within urban areas. 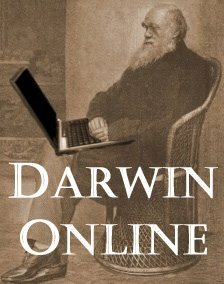 Menno Schiltuizen, Darwin Comes to Town: How the Urban Jungle Drives Evolution (New York: Picador/Macmillan, 2018), 304 pp. 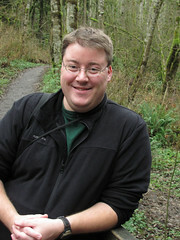 Publisher’s description Menno Schilthuizen is one of a growing number of “urban ecologists” studying how our manmade environments are accelerating and changing the evolution of the animals and plants around us. In Darwin Comes to Town, he takes us around the world for an up-close look at just how stunningly flexible and swift-moving natural selection can be. With human populations growing, we’re having an increasing impact on global ecosystems, and nowhere do these impacts overlap as much as they do in cities. The urban environment is about as extreme as it gets, and the wild animals and plants that live side-by-side with us need to adapt to a whole suite of challenging conditions: they must manage in the city’s hotter climate (the “urban heat island”); they need to be able to live either in the semidesert of the tall, rocky, and cavernous structures we call buildings or in the pocket-like oases of city parks (which pose their own dangers, including smog and free-ranging dogs and cats); traffic causes continuous noise, a mist of fine dust particles, and barriers to movement for any animal that cannot fly or burrow; food sources are mainly human-derived. And yet, as Schilthuizen shows, the wildlife sharing these spaces with us is not just surviving, but evolving ways of thriving. Darwin Comes to Town draws on eye-popping examples of adaptation to share a stunning vision of urban evolution in which humans and wildlife co-exist in a unique harmony. It reveals that evolution can happen far more rapidly than Darwin dreamed, while providing a glimmer of hope that our race toward over population might not take the rest of nature down with us. Read reviews from NPR Books, Kirkus Reviews, Publisher’s Weekly, Financial Times, and interviews with the author from Scientific Inquirer and Chicago Book Review. Schilthuizen also appeared on CBS This Morning and in conversation with Isabella Rossellini.